The Central Bank of Venezuela says the country is down to just $10.5 billion in foreign reserves. At the same time, Caracas has to meet debt obligations of $7.2 billion this year. The country had nearly $30 billion in reserve five years ago. In 2015, it was down to $20 billion. According to economists, the trend can't go on much longer, but it’s not easy to predict how long it would take Venezuela to reach the bottom. "The question is: Where is the floor? If oil prices stagnate and foreign reserves reach zero, then the clock is going to start on a default," says Siobhan Morden, head of Latin America fixed-income strategy at Nomura Holdings, as quoted by CNN Money. Nearly $7.7 billion of the country’s remaining reserves is in gold, according to the latest financial report for 2016. Venezuela had to ship gold to Switzerland to foot debt bills last year. Dwindling reserves are only exacerbating the humanitarian crisis in the country. The economic blow has led to food and medical shortages, as well as skyrocketing prices. Inflation is expected to rise to 1,660 percent this year and 2,880 percent in 2018, according to the IMF. Among the key factors boosting inflation experts see the crashing bolivar, huge government spending, poor management of the country's infrastructure, as well as high level of corruption. 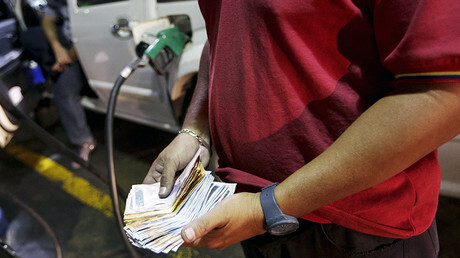 However, oil prices averaging $55 remain the major problem for the country’s economy. As the largest holder of reported oil reserves in the world, Venezuela produced over 2.4 million barrels of crude and condensates per day at the end of the last year, according to ministry data. Oil shipments make up more than 90 percent of the country's exports. 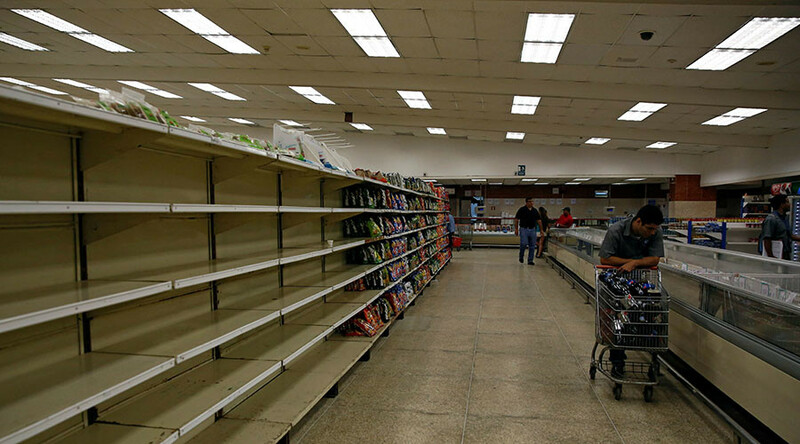 All in all that makes it more and more difficult for Caracas to pay debts and import food, medicine and other essentials for its citizens. The country's imports dropped 50 percent from a year ago, according to Venezuelan research firm Ecoanalitica.